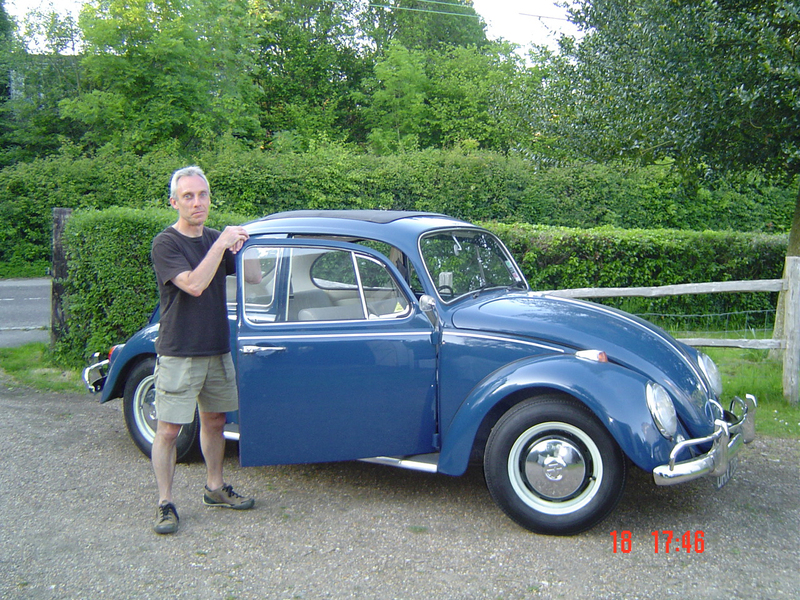 Robin Snook, of England, contacted 1967Beetle.com, inquiring about parts for his ’67 Beetle. Eric copied me and thus began a running e-conversation between Robin and me. I was able to help with some parts. When Robin mentioned something about how he acquired his car, I thought that his story should be told. My involvement with Beetles began when I was 15 years old. My dad died when my sister and I were quite young. As a result, we struggled financially growing up, and didn’t have a car. 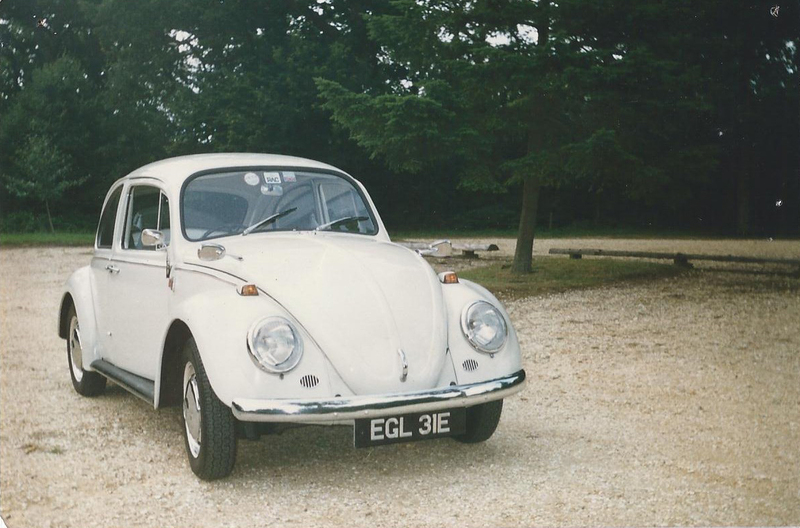 My mum took driving lessons in the early 1970s and after several attempts passed her test and acquired a license to drive…….she wanted us to enjoy some travel around the UK before we flew the nest! My uncle had completed Conscripted National Service in Germany after the Second World War and learnt about the Peoples’ Car whilst he was there. He suggested that it would be a good car for my mum due to its reliability and high build quality……so the search was on! We hunted high and low for a decent example to buy, but they were either too expensive or trashed! Eventually, we found a beautiful Pearl White 1200 model that had been registered in August, 1967. Mum bought it for £550 (around $880) in 1972. We traveled the length and breadth of the UK heavily loaded with luggage, dog, supplies etc. Then when my mum gave up driving, I used the car myself for daily transport to work etc, until I sold it in 1990 and bought a shiny red Golf. 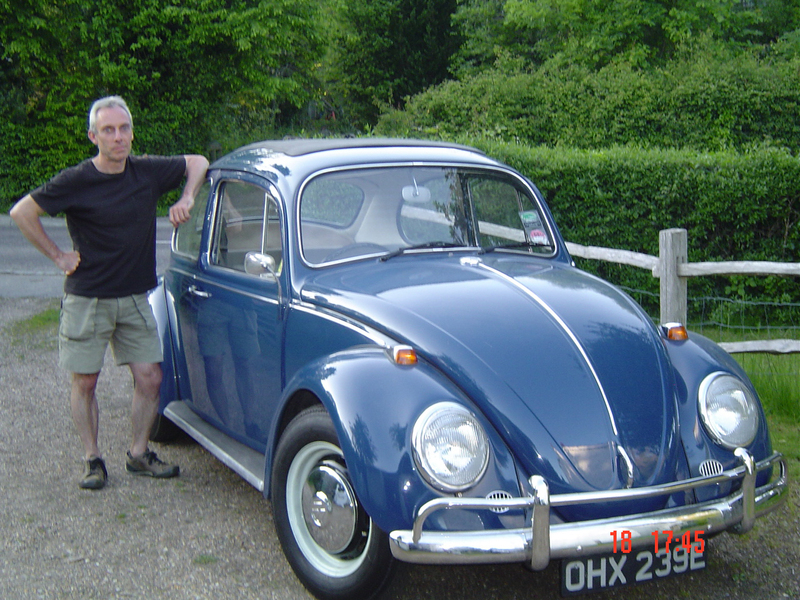 By then that Beetle had completed 114,000 miles on the original engine and was returning 40mpg. There was no rust anywhere on the car, thanks to my hard work on weekends, keeping it in good order. I’ve always yearned for another “proper Beetle”, even though I bought a New Beetle Cabriolet back in 2005. I spoke with the guy who found and restored it. A friend of his had heard of a Beetle that had lain gathering dust in a garage since the 1980s. He went to see it and was amazed at its rust free condition. It had been customised a little. With a new battery and some fresh petrol, it started immediately and drove perfectly. After stripping and repainting it and reverting it to “stock”, he considered keeping it. However, since he already had a ’67 1300 he decided to sell it on….great news for me! On returning from holiday, I went to view the Ragtop and wasn’t disappointed. 57,000 original miles and only a little rust here and there. A good standard of repainting had been completed but the interior was a bit tired and in need of some love and attention. I took the car for a test drive and it ran perfectly. I was relieved and very excited to be driving a Beetle again after 23 years! Now, I’ve started attending to a few things here and there, nothing major and mainly cosmetic….bumpers, wheels, door handles(! )…and have encountered the common problems associated with this one-year-only model. All great fun! I have re-joined the VW Owners Club in the UK and have been making connections with VW enthusiasts in the UK and also the USA. It’s great that there is so much help and goodwill out there! I am looking for a decent air-cooled mechanic in East Sussex and have had a couple of recommendations that I’ll need to follow-up. My Beetle won’t be encountering any harsh UK weather such as the rain, sleet and snow that batters our Country during the winter time (and sometimes even in the summer!). Instead I’ll be waiting for springtime to take the Beetle out for a decent length of drive…maybe down to the Coast! Thanks, Robin, for sharing your ’67 with 1967beetle.com. *Robin lives in Tonbridge, Kent, United Kingdom, 29 miles SE of London. Historically, the name was spelled “Tonebridge”. William I “The Conqueror” of England executed a “great survey” of much of England in 1085. Tonbridge is listed in the resultant record, The Domesday Book. We can envy Robin and other Englanders for the ease of finding wonderful settings for photographing their Beetles. Head lights also seem “wrong” for USA 1967 market, in addition to the explained rag top. I believe they are correct for the Non US market. Jay cold speak to this more. I just work here. Hi, Del…the list of differences between ’67 Beetles produced for England and those produced for the USA markets is lengthy! I could not begin, here, to describe all of the distinctives. For instance, early in the market to England, crated disassembled Beetles were sent to England (and elsewhere) to be assembled. So, there was a lot going on which is not common knowledge to us in the USA. Increasing contact with the ’67 Community in the UK and elsewhere is helping to broaden our understanding of the “total picture”. Another great story! Robin, enjoy!!! A great ’67, and I love your story Robin! 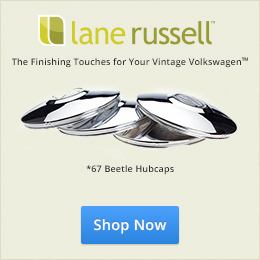 And, thanks to Jay for his continued work here at 1967beetle.com. Robin, I love your beetle! It’s great when you have personal history associated with the beetle. Here’s to many new memories you’ll create! I think the headlights are correct for the European version. Didn’t they also only come as a 1300, with a six volt system. I heard somewhere they had front disc brakes! I love the 3 mirrors on the white one. Never saw that before. Nice car Robin! Thanks for sharing a story that does not have US origins! After reading the story from India, scroll downwards for two more from the UK. One of our Readers is restoring a ’67 Beetle in Australia. He plans to do a Featured Article when he has things further along. That story will cause all of us to gasp–the Beetle Industry in Australia took turns that were different from anything else in the Volkswagen World! Lots more to come on 1967beetle.com as our Readers contribute. Just contact Eric Shoemaker with YOUR story and join the roster of Featured Interviews! Methinks, in reference to the fenders different from USA specs, that the USA specifications which were many, managed under the Special Options “M” Codes were perhaps in the minority worldwide-as a great variety of variations managed under many different “M” codes were in play. The USA market was “M” code 611 (sealed beam headlamps and 12 volts electrical system). Most of the rest of the world still utilized the 6 volt system and mostly the “other” style of fenders and headlights. On the engine side, again, a myriad bunch of different “M” codes and non “M” code variations, different horsepower etc. The USA “M” code appears to be “M” 610 (12 Volts Part Number 113 100 011F). The combinations of 6 volts and horsepower ranges through 34, 40 and 44 DIN horsepower-for 12 volts 34, 40 & 44 DIN horsepower, indeed a passel of different varieties of 1967 beetles. I had never ran across any history of crated Volkswagens shipped-what year was this-late or mid 1940’s, early 1950’s? Volkswagen was touted and most certainly “blew their own horn” about the ManyMany inspections a vehicle was subjected to during the assembly process-any minor aberration of which, the vehicle was pulled aside or marked for the offending aberration to be repaired. Hardly able to do this level of inspection, if the vehicle was bagged and boxed, and perhaps non Volkswagen folks doing the assembly-with a positive possibility of creating aberrations. More information on this segment of Volkswagen history would be entertaining. I purchased my 1967 in England in latelate 1966, it was not shipped in crates. The steel sliding sun roof question for England-the “gray” market opportunity for steel ones making it onto the British economy was greatly enhanced by the presence of US military personnel in the British Isles-buying new Model 117 U. S. Specifications Beetles and then leaving them when they were transferred elsewhere-sorta reverse of ones bringing in non US specs into United States. Of general interest perhaps (relating to an earlier discussion of equalizer spring system) Special Options Code M86 for certain 1200 models used together with M129 (34 DIN horsepower engine) Without Equalizer Springs from chassis number 117 483 306 through the end of 1967 production for models 111 112 115 116 Standard models left and right hand drive-only with those “M” codes. Another “M” code tidbit, amongst many USA only items, many folks have replaced their taillight lens with red/amber ones, Red ones are the correct ones for the “original” correct restoration back to the production line-amber was illegal at the time in USA. I didn’t locate an “M” code for VW 1300/1500 for engine lid, But “M” 14 removed the 1300/1500 and replaced it with “Volkswagen” at Chassis Number 116 000 001 for the De Luxe models in Export Markets, of which the USA fit. Quinn, Jay & Eric: Just adding fodder to the discussion – our build certificate for Wally2 has codes “M 002 USA country typical”, “M 128 White Wall Tires”, “M 137 Dual-circuit and drum brake”, M 354 US-equipment (cannot be identified)” along with “Sealed-beam headlamps”. Is this because he’s a convertible? Jay … you’re my hero! Don’t way that so that my wife can hear it–she’ll expect more out of me! Jay is the glue that holds this whole thing together! More and more I love the Euro 67s! Very cool car. I want to see more pics of that bad boy! 67 Ragtop? Hell yeah. Thanks for stopping by, Vallone! Total side note. But, there is a really nice Savanna Beige ’67 that’s going on the site in the AM for sale. Total pan off restoration. Watch for it.